Undoubtedly both the development and design world have been rocked by new trends, some stay for years but more of them are just a flash in the span. It’s helpful to take note of what the current and upcoming trends are, which will keep us stay ahead of the competition and also better meet clients’ needs. In most cases, trends even go in opposite directions and don’t necessarily mean new. It’s the ever-changing technology that makes new trends possible and moves our design forward. Some of the web design trends we’re going to talk might not materialize till now, but you’re likely to see them in one form or another in the near future! Originally pioneered by Pinterest, card-style design can be seen everywhere on the web and take our design to a deeper level by displaying more interactivity and functionality. Each of card can represent one unified concept and generate grid layouts while decreasing the content. The rectangular shape of cards makes it’s easier to re-arrange on different devices and gives a usable way to catch the content at first glance. Card does dominate design and work almost as ”content container”. Often abbreviated as IxD, interaction refers to the practice of designing interactive environments, products, services and system. It goes hand-in-hand with animation and helps create links between devices and users. When it comes down to user experience, then small/micro-interaction drive all interactions. Those small interactions will effect how audiences interact with website and how loyal they’re to correspondent apps and devices. As a new style language of Google, material design takes advantage of shadow effects and the movement concept so as to create more realistic designs. It usually separates elements using different layers concept as in the image editing software and has a set of built-in animations needed to be edited manually. This design is an alternative to flat design, and you can find more differences between them by reading this comparison post. Websites are basically kind of storytelling tools and our storytelling will be more effective if motion and visuals are added to transfer to the visitors. That’s one of the web design trends that does help held popularity for a couple of years and can also guide people through a timeline or a thought process. Also the exponential growth of YouTube already proves that the old-style TV is dying and out-of-dated. 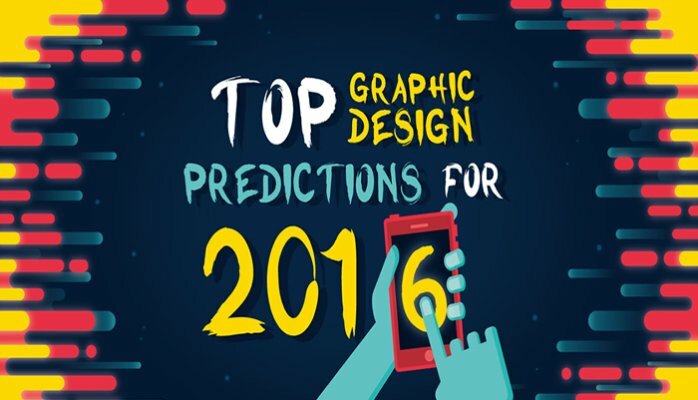 Leave comments below and let's talk about more undergoing and upcoming design trends for 2016:D.